No one, presently, sees the Moon rotate like this. That’s because the Earth’s moon is tidally locked to the Earth, showing us only one side. 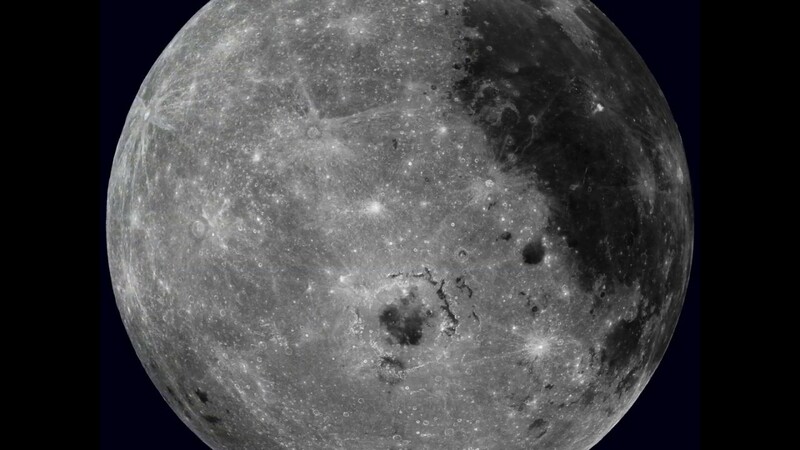 Given modern digital technology, however, combined with many detailed images returned by the Lunar Reconnaissance Orbiter (LRO), a high resolution virtual Moon rotation movie has been composed. The above time-lapse video starts with the standard Earth view of the Moon. Quickly, though, Mare Orientale, a large crater with a dark center that is difficult to see from the Earth, rotates into view just below the equator. From an entire lunar month condensed into 24 seconds, the video clearly shows that the Earth side of the Moon contains an abundance of dark lunar maria, while the lunar far side is dominated by bright lunar highlands. Currently, over 20 new missions to the Moon are under active development from four different countries, most of which have expected launch dates either this year or next. Posted on Sunday, 18 March 2018 by VGC	This entry was posted in ifttt-photograph and tagged IFTTT, NASA. Bookmark the permalink.